Brokerage Boat! 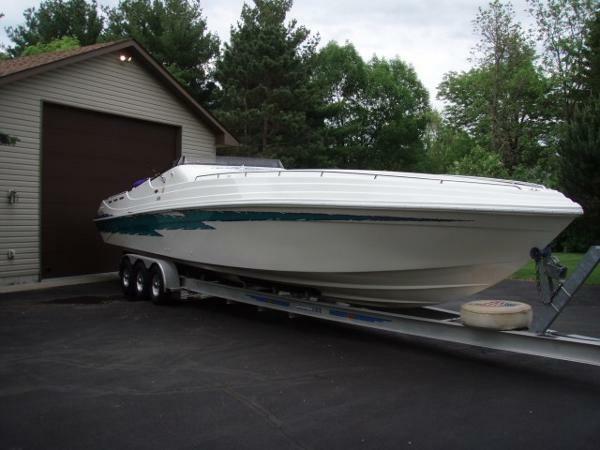 Boat is Off Location, please call to schedule showing! 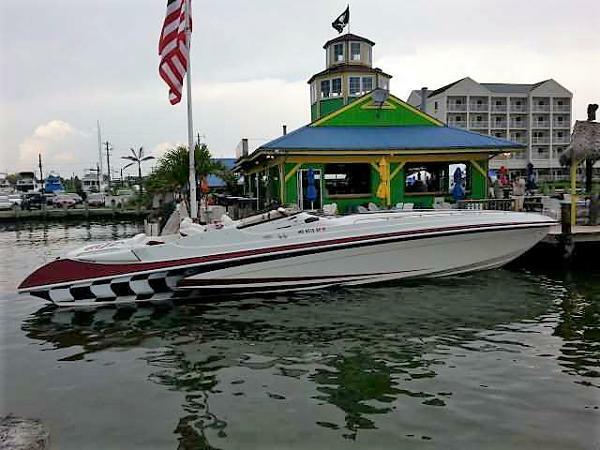 Looking for that perfect combo of Style, Smooth Ride, Performance and Cruiser Amentias all in one boat? 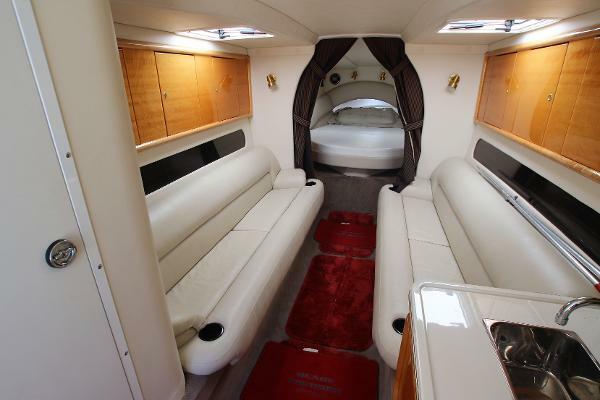 This 43 Black Thunder provides amazing interior space with Luxury Accommodations! 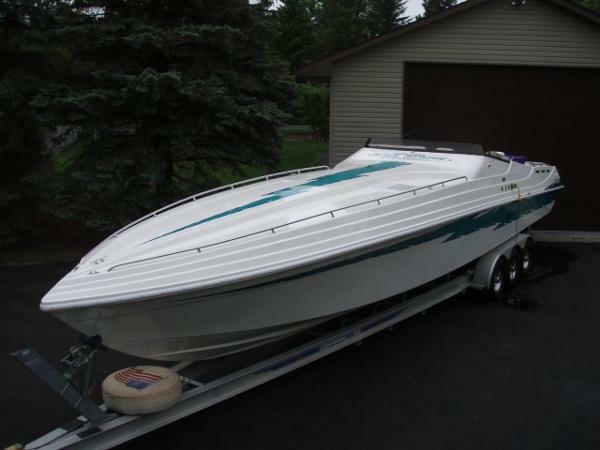 From first glance the care of this boat will stand out, this boat is always indoor stored, never kept in a slip and maintained with an open check book! 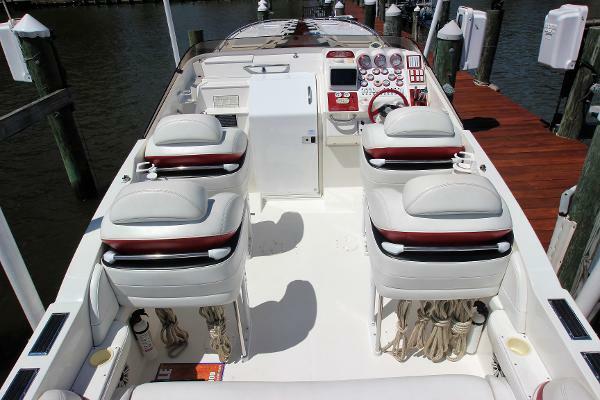 This boat is loaded with features that set it apart from others, some include Air Conditioning/Heat, Westerbeke Generator (New in 2004), TV/DVD, Garmin GPS, Transom Shower, Enclosed Pump Out Head, Full Canvas Enclosure, Cockpit Cover, Extra Ste of Props, Water Heater, VHF Radio & Triple Axle Aluminum Trailer with Load Guides(yr-2000/18,000lbs)! 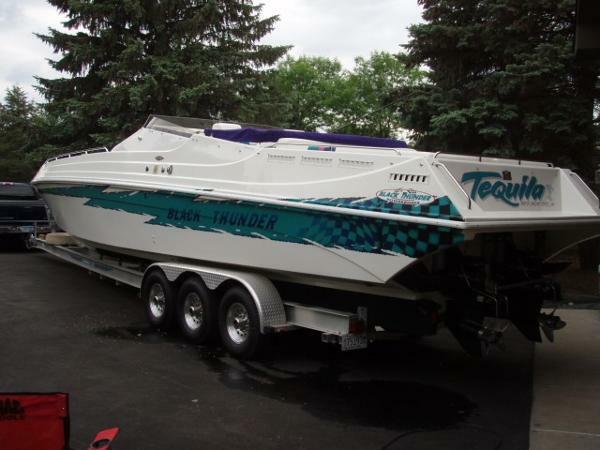 The 43 Black Thunder Boast a 9'6" Beam giving her large interior space and a dry weight of over 10,000 lbs allowing for a smooth ride in rough conditions, Powered by Twin 7.4L EFI MerCruisers and Bravo 1 Drives she will stay on top the water at 30MPH, Cruise all day at 42 MPH at hit 50 MPH on the top end, for it's size the performance should surely impress Captain and Crew Alike!